I remember my very first piano teaching job at a music store in New York. I got the job because my violin teacher and her husband owned the store. I had a degree in music and could play pretty well but to be honest I didn’t think too much about the teaching process. I picked up a method book and did what my piano teachers did, or at least I tried to. I can’t say my early teaching was on the job training because I was on the job but there was no training. It was more like learn as you go and hope for the best. 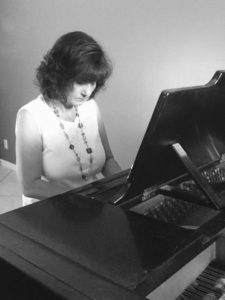 (A heart for teaching piano teachers is a two-part post) Teaching Piano Teachers Part One. Today things are different. We have the internet! There are Facebook groups, webinars, books, and all kinds of training on and offline. The best part of all of this is that teachers are the ones actually doing the teaching. Teachers like you and me who open our doors every afternoon and teach piano students of all ages. Real life teachers in the trenches dealing with practicing issues, technical problems, and personality conflicts. Piano teachers who have found solutions to problems and are willing to share them. These very same teachers are coming up with all kinds of Innovative ways to teach the piano and are willing to share those too. How amazing is that? In a world where people are being inundated with television, video games, and social media. A world where classroom teachers are struggling because kids are distracted and the arts are suffering because we live in a culture where sports is king. The piano continues to flourish. It is the most popular musical instrument by far and one of the most popular extracurricular activities overall. I know as piano teachers we have our struggles too. Behavior, commitment, getting kids to practice. But we still can find plenty of people that want to take up the piano despite the fact that learning to play the piano is a monumentally difficult undertaking. I am amazed that in this busy, flashy, tech-driven over-entertained culture we still find people who are willing to sit in a room and practice scales and arpeggios. I’m sure there are a lot of reasons for the piano’s popularity. For one thing, the piano is just plain awesome! (and yes, I am biased). We have a lot of very fine concert pianists inspiring all of us with their great playing and captivating stage presence. The advent of the digital piano has made it easier for families to buy an instrument (that’s another subject). Research has also made parents aware of how good musical training of any kind is for children. But I think there’s another reason as well. I taught a student whose father studied piano at the Cleveland Institute of Music. After teaching his son his comment to me was “Piano pedagogy sure has come a long way since I was a kid”. He’s right, it has. I believe one of the main reasons for this is of all of the information sharing that’s going on now. No longer are we just sitting in our studios teaching our students by ourselves we are together. Posting sharing and learning. I don’t think that social media has made the piano any easier to learn. In fact, I know it hasn’t. The keyboard has been around for hundreds of years, it’s never been easy, and it never will. Teachers collaborating can’t change the culture either. Today’s students are overwhelmed with many choices about how to spend their time and energy. What does make a difference is the fact that all of us together can better and better ways to reach and teach children and adults who wish to learn the piano. Yes, we have challenges but now we have literally thousands of other teachers who can help. Because of this we can take on many different types of students and retain them. Preschoolers, adults, seniors, special needs students. Years ago many teachers may not have felt qualified to work with these students. My first piano teacher started students at seven years of age, there were no adults or special needs students in his studio. My youngest student is three, the oldest 87 and I have had the privilege of working with many exceptional people. (I know this is not unusual either many of you have very diverse studios as well). The main reason I am successful is that I have so many teachers to help me. All I have to do is post a question on Facebook and before I know it a treasure chest of wisdom and knowledge is flooding my computer screen. Surely being a part of all of this sharing is a total win…or is it? I’ll be discussing this further in the next post. If you have a heart for teaching teachers, I’d like to invite you to join my brand new Facebook group called “Piano Teacher Apprentice”. I need experienced teachers with a heart for teaching teachers to come on board and…well…teach teachers. I also want to cordially invite new teachers or anyone who wants a safe compassionate place to learn about piano pedagogy. A group where no question is too silly to ask and everyone is respected. For tons of free high-quality printable method books and music and piano games.